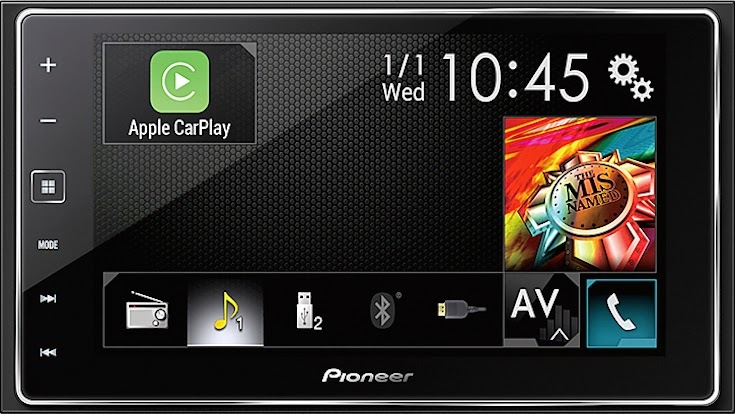 The Pioneer AppRadio 4 (SPH-DA120), which was announced last week, will slowly start appearing in people's cars in the next few days. The new device is an upgrade from the previous generation AppRadio 3 (SPH-DA210 & SPH-DA110) with a lot of new features added. At first glance, the addition of Apple CarPlay may stand out to most potential customers. But audiophiles looking at enjoying the best sound quality may also be drawn to the device. And here's why. The AppRadio 4 now supports lossless FLAC audio which can be played from a connected USB device. FLAC, or Free Lossless Audio Codec, is high-definition audio compression technology that brings bit-perfect CD quality music in half the size. The format debuted back in 2001 but didn't really catch on with the popularity of MP3. CNET has an excellent post that explains FLAC and even provides information on which websites offer FLAC audio and the devices that are capable of playing it. Check it out. People that love high quality audio may want to give the Pioneer AppRadio 4 (SPH-DA120) a look if they'd like to enjoy FLAC audio in their cars.